Podcast 50! I started my podcast a couple of years ago almost as an after thought, but today I'm hitting a major milestone with 50 episodes! I've had a few rough moments where I considered throwing in the towel on the podcast, but I've stuck it out and seen some nice results. 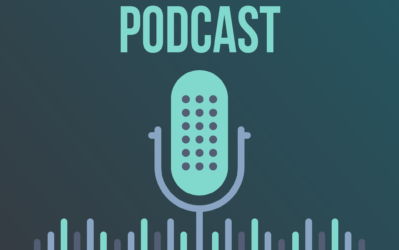 I'll dive into my podcast numbers in the near future, and whether my decision to start publishing weekly was a good one. However, for now I'm excited to share an interview I did with Justin and Joe from EmpireFlippers.com. 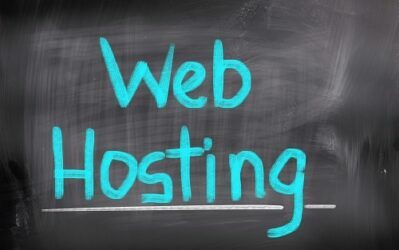 These guys are well known for their website marketplace where all sites are listed for sale at 20 times monthly income. I also need to mention that I just met these guys in person for the very first time last week! We all attended the Rhodium Weekend conference in Las Vegas and got to chat business and hang out a bit. The conference overall was great. The presenters dove into topics ranging from buying and selling sites to how to set up systems in a business. In fact, I was asked to present! I shared the story of Long Tail Pro and how to bootstrap a software business without programming experience. Justin and Joe presented on building systems with your employees. Overall, I'm excited to present to you the interview Perrin and I did with Justin and Joe from EmpireFlippers.com. Below you will find some of the notes from the podcast interviews. This is not a word for word transcript and doesn't document everything covered in the interview. To hear the entire interview, please listen to the podcast below. How is the new Web Design for EmpireFlippers.com Going? They are happy with the new design. They still have a few tweaks they are working on, and its too early to tell if the new design is impacting their bottom line. They are hearing great feedback and appears to help them with their overall brand. Buying is more expensive, but its one that already has been proven in the marketplace. It's really a question of whether you want to leverage your cash or time. Buying sites can also present alot of great strategic advantages over building sites. Red Flags When People Are Buying Sites? The most common are bot or fake traffic, domain de-indexed, changes to affiliate programs, and more. You need to know what you are looking for with Google Analytics and Clicky. You can also look for valid identities online. Fake online identities can definitely be a red flag. What Are Some Good Things to Look for When Buying a Site? A great site is specific to the buyer. Buy what you are experience in and benefits your individual business. Are the Prices on Empire Flippers Negotiable? Yes, if you are willing to make a reasonable offer; then all prices are negotiable. They usually get very close to list price (20 times monthly earnings). They are also working on a valuation tool that will be released publicly very soon. What's Your Opinion on the PBN Update? None of the sites on the marketplace were hit. But there was one site that was in transition that got hit, and so they actually returned the site to the seller. Do You Look at Link Quality When You Vet Sites? Yes. They look at the quality, type, anchor text, and much more when vetting the sites. They do accept sites that have PBN links, but they fully disclose this to any potential buyers. Definitely lots of interesting strategies. Is it Possible to Sell Sites on the Empire Flippers Marketplace that I Bought Less Than 3 Months Ago? Not usually. 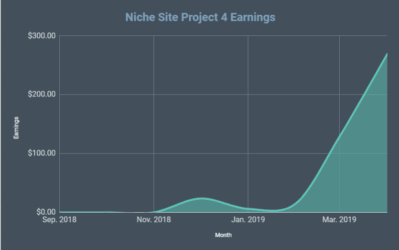 You need to have 3 months of earnings history in order to list the site typically. However, they deal with everything on a case by case basis. They've been tempted to buy sites on Flippa and then sell them on their marketplace. What Other Marketplaces are there for Buying Sites? Flippa is the largest. A newer one is called FreeMarket.com, this is owned by Freelancer.com and the WarriorForum. 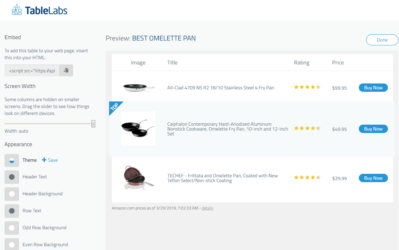 BizBuySell.com – has a section for online properties. Centurica.com – a curated list of brokerage listings. The EmpireFlippers Marketplace typically targets sites under $200k. Are You Looking for More Buyers or More Sellers? They are typically looking for more sellers. Right now, the more options they have for sale, the better. How Are You Finding More Sellers? Yes. They are moving to more high touch activities like workshops, events, and more. They are using some retargeting ads as well. They use AfterOffers.com. They pay only $1 per subscriber right now. According to their math, an email subscriber is worth close to $15. Justin and Joe are looking into starting an investor program. Basically, they are looking in to buying bigger sites with investor money, and then they run the site. They see a lot of opportunities with this investor type program. They've sold or move away from everything else in their business. They no longer are involved in building websites or other side projects, they are focusing exclusively on the marketplace. As always, if you enjoyed the podcast please feel free to leave a rating or review on iTunes right here. This is a great listen. I’ve actually been considering if I want to sell one of my websites down the line or not. I have a wedding coming up that it would really help with. If I decide to sell, I’ll list through Empire Flippers first. Thanks Benjamin…and yep, Empire Flippers is a great option. Thanks Spencer, always great being on the show. Absolutely, thanks again for the interview! FInally, been craving for a new post for some days now. My listening when I am off to work tomorrow to get some new ideas. Thanks for the great insight. Hopefully tomorrow follows my anwser how I liked this one :). Hey, I have a quick question for you Justin and Joe. Did you accept sites with PBN links Before the “pbn update”? Even with just a few PBN links among other natural links. Yes, we would take and accept sites with PBN links. Assuming the site met our other criteria it would get listed and sold on the marketplace. We’ll still accept sites today, actually, with PBN links – we just need that to be disclosed so that we can disclose to potential buyers to make their job easier. Our biggest thing is transparency. The more information we can give you, the better chance a buyer can make an educated decision as to whether that site is right for them. Nice interview, Whoa this is a good road-map for because in the next few month i want to flip one of my site. I want to ask if money making site is profitable to flip. I’m curious what you think about buying sites that may have been hit with a penalty in the past. For instance, if a site was hit with a penalty because of the back links, do you think it would be alright to buy the site and transfer the content to a new site? I have heard of penalties following the content around, however, if the site was penalized due to its link profile, I don’t see a reason why you couldn’t try to revive the content under a new site. That question is for Spencer. Buying a penalized site and using some tricks to recover can be an amazing way to buy a site at a deal and end up with huge returns…if you can recover the site, that is. As long as you’re buying the penalized site at the NEW price instead of baking in previous earnings that’s not a problem. The only thing is – if your plan to recover fails you may be left with a site that has low earnings and your plan to switch the content to a new domain might actually end up costing you. I agree with Justin. It has risks, but potential upsides. However, be sure to bid on what the penalized site is earning, not what it could potentially be earnings post penalty. Penalties are not easy to remove. I always enjoy hearing from Justin. They do a great job over at EmpireFlippers. Great podcast as usual guys. My folks owned a real-estate business for the past 3 decades. Once and a while they would buy a piece of property, then list it as a “broker/owner” on MLS. My view is as long as you are transparent and disclose to a potential buyer that the site listed is a “broker/owner” deal, then there is NO CONFLICT of interest. Many buyers will view your industry knowledge as a positive indication that you view the site as having been pre-screened by you. Bottomline – go for it and buy a few sites on Flippa and list them on your site. You bring VETTING (due diligence) experience to the equation. ps: Great site upgrade. Nicely done. Thanks for the encouragement, Jim! Yeah, I think as long as we’re very clear about where the sites are coming from our buyers wouldn’t have a problem. I wouldn’t want us to take away attention from our sellers’ sites though either. Not an issue until we actually find some quality sites to flip, hehe. I’ve listed to a lot of Podcasts over the last 2 months and this was one of those ones where I kept listening and listening without even realizing +50 minutes had passed by. Lots of good discussion in this episode! 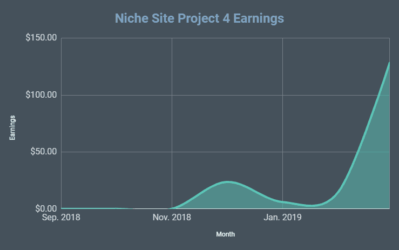 I’m still amazed that even in our post Penguin / Panda / Thin-content environment there is still such a strong market-place with sites that make more than $1,000 per month. That gives me hope that building your sites up to that kind of income level may be more common and obtainable than one would think. I was surprised to hear that Justin and Joe sold off all their niche sites. The new venture of turning website ownership into an investor program is different. It kind of sounded like an REIT for online entrepreneurs. That’s awesome…so glad you enjoyed the podcast! Also, the market for sites making over $1,000 a month is very strong. In fact, I was just at the Rhodium weekend where the main topic was buying and selling sites. The market is even better once you move to larger websites…we’re talking six figure deals here (or more). Great redesign of website Spencer! I really like this modern design! Check google PageSpeed Insights there are quick tips to improve performance. I have one question that is bothering me. 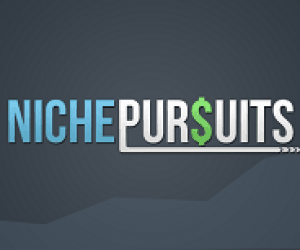 In our of your posts on NP – https://www.nichepursuits.com/where-to-find-content-for-back-linking-purposes/ you show us the tools and places where you buy PLR articles and spun articles. Are you still using these methods, as I read one of your recent posts that PBN are less preferable choice for backlinks now. I am bit confused. Quick note spencer – new design looks great but hard to navigate. Homepage draws a blank for me trying to get to blog/rest of site – i have to gg search to find old posts – where is the search function? Sorry just scrolled down form hpage lol! maybe its me just getting used to new site lol! I would say that buying and selling from your own marketplace is a bad idea. It will only appear as if you’re self dealing and this could cloud your otherwise pristine image. I’ve been using Flippa for a couple of weeks now. It’s pretty good!